The NFL suspended Cleveland Browns wide receiver Josh Gordon for at least one year without pay on Tuesday for violating the league’s policy on substance abuse. Gordon’s suspension begins immediately, the NFL said in a statement. “As we have conveyed, we are disappointed to once again be at this point with Josh,” Browns general manager Ray Farmer said. “Throughout his career, we have tried to assist him in getting support like we would with any member of our organization. Unfortunately, our efforts have not resonated with him. “It is evident that Josh needs to make some substantial strides to live up to the positive culture we are trying to build this football team upon. Our hope is that this suspension affords Josh the opportunity to gain some clarity in determining what he wants to accomplish moving forward and if he wants a career in the Nation Football League. Gordon said last week in an open letter that his latest failed test was the result of drinking with teammates on a flight to Las Vegas on Jan. 2. He received notice to take a drug test as soon as he landed in Las Vegas. “As a strict condition to my reinstatement in Week 12, I had to agree not only to abstain from drinking for the rest of the season but also to submit to an alcohol screen as part of my in-season drug testing under the league’s substance-abuse protocol,” he wrote. “Did I think that was excessive given I had never had any issue whatsoever with alcohol? Yes. Did I think it was hypocritical that a professional league making hundreds of millions of dollars off beer sponsorships was telling me not to drink? Yes. Did I so much as blink at the condition? No. Gordon was suspended for 10 games at the start of the 2014 season for violating the substance-abuse policy. 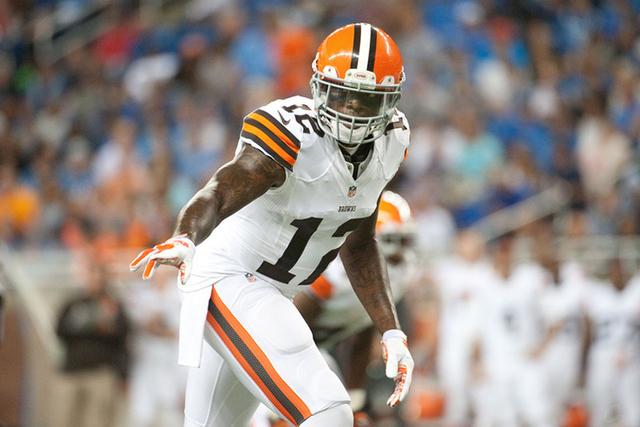 The Browns also suspended Gordon for the season finale for violating team rules. Gordon, who entered the NFL via the supplemental draft after being dismissed from Baylor for a failed marijuana test, caught 24 passes for 303 yards in five games in 2014. He led the NFL with 1,646 yards in just 14 games in 2013.